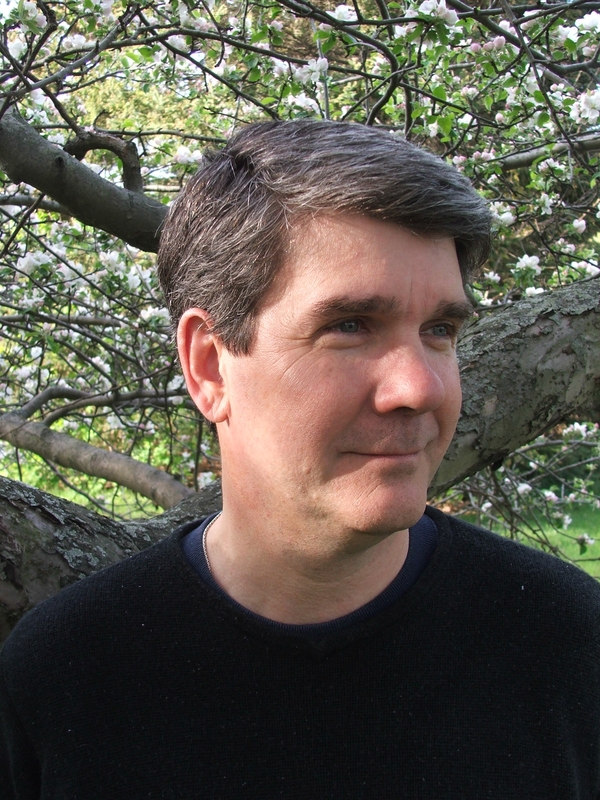 John Donohue is the author of the award-winning Connor Burke martial art thrillers Sensei, Deshi, and Tengu. 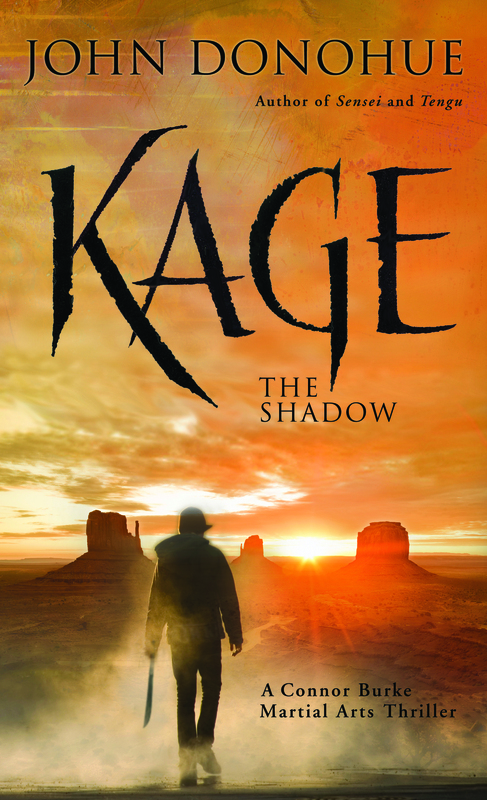 In his latest release, Kage: The Shadow, Burke is faced with a new challenge that puts him over the edge. Donohue was pleased to chat about Burke’s latest adventure, the writing life, and the importance of exercising the mind-and the body. John, can you tell us a bit more about Connor Burke’s latest challenge? Much of the action in Kage is centered on the withered and unforgiving landscape of the American southwest. In Kage, Connor Burke must pierce the cloud of mystery surrounding the death of notorious ‘mystic’ and best-selling author Elliot Westmann. Hired by the deceased’s estranged daughter, Burke discovers that Westmann’s unfinished manuscripts may contain cryptic details that local border smugglers might kill to keep secret. As Burke digs deeper, facts get convoluted and events get downright dangerous. He soon realizes that he is in way over his head. His only hope is to take matters into his own hands, using his fighting skills and the aid and guidance of his warrior teacher Yamashita. You have a black belt in karate and kendo and in addition to writing martial art thrillers you’re the associate editor for the Journal of Asian Martial Arts and an advisory board member for the National Association of Professional Martial Artists. Apart from fueling your storylines, how else does your involvement in martial arts help you as a writer? A lot of martial arts training is about discipline and persistence. Few of us are “naturals” and some of the most valuable lessons I’ve learned in the dojo concern things like the merits of deferred gratification, the fact that things worth doing are often challenging, and that you need to keep at it, whatever “it” is. They seem to me to be excellent lessons for any aspiring writer. You’re planning on sharing some of your love for writing and martial arts in an upcoming memoir, “Lessons from My Sensei.” Can you tell us more about this project? As I look back on over thirty years of training, I realize that I have been fortunate to come under the tutelage of many fantastic martial arts teachers. I thought I would try to string together some vignettes from my training to show them action, to demonstrate the impact of their personalities of students, and to explore some of the richness of the martial arts. I’m also working on a few other projects–a new series with the debut novel “Wave Man” about Oso Moreno, an ex-Ranger who works as a low level leg breaker for an organized crime boss. Unfortunately for Moreno, he’s developing a conscience. Mayhem ensues. I’ve also just concluded a paranormal thriller “The Qi Eaters.” Very high concept. Martial arts vampires. You’re a faculty member with the Albertus Magnus creative writing MFA program. Can you tell us a little about the low-residency program and what you enjoy most about working with your students? The Program is one that’s based on the idea that writers should write, rewrite and write some more. We also know that people’s lives are busy and that the demands of work and family often mean that they can’t come to class very easily. The internet provides us with a way to create a community of writers who write and discuss and support one another. Then every five weeks during semesters, we meet for an extended Saturday class on the New Haven campus of Albertus Magnus College. It’s proven to be a great way to get the benefit of distance learning yet still maintain an intimate, in-person experience for writers. Check out the website for more information. What advice might you offer to prospective low-residency MFA applicants? What can they expect to accomplish and learn from within the Albertus Magnus program? The best advice I can give is to prepare to work hard and write a great deal. We’re fortunate to have a great group of instructors and students who take the art of writing seriously. At the same time, we try not to take ourselves too seriously. So the atmosphere is friendly and supportive, not elitist. As for what students can expect, the program is convenient yet demanding. Students develop the insights, discipline, and skills of the professional writer. We hope that by blending personalized attention to the individual’s needs with the utilization of Internet technology to create a virtual community of writers, the MFA program provides a formative experience for writers seeking to hone their craft. Speaking of the virtual world, Sensei and Deshi will soon be released as ebooks. Have you yourself adapted your library to include a virtual bookshelf? How has the development of e-lit changed how you read? I have indeed started a virtual bookshelf. My IPad has both IBooks and Kindle books and I find that it’s great for travelling, since I don’t have to worry about lugging separate volumes around. And the ease of downloading ebooks and their small footprint means I can be a bit more adventurous in my reading and not worry about cluttering up my already packed “real” bookcase. Finally, what’s the future for Burke? Will we see another book in the series? I’m hard at work on Burke’s next adventure. “Far Mountain” will deal with more of the backstory of Burke’s sensei Yamashita, and old ties from the past will drag Connor Burke into a story that involves the nymphomaniac daughter of a prominent Japanese diplomat, North Korean espionage, blackmail and, of course, the martial arts. John Donohue is the author of the award-winning Connor Burke martial art thrillers Sensei, Deshi, and Tengu. An anthropologist who researches and trains in the martial arts, he is associate editor for the Journal of Asian Martial Arts and member of the advisory board for the National Association of Professional Martial Artists. A black belt in karate and kendo, he resides near New Haven, Connecticut. To learn more about John, please visit his website. Lori A. May's work has appeared in publications such as Writer's Digest, The Writer, Tipton Poetry Journal, and anthologies such as Van Gogh's Ear. She is the author of four books including stains: early poems and The Low-Residency MFA Handbook: A Guide for Prospective Creative Writing Students. For more info, visit www.loriamay.com.